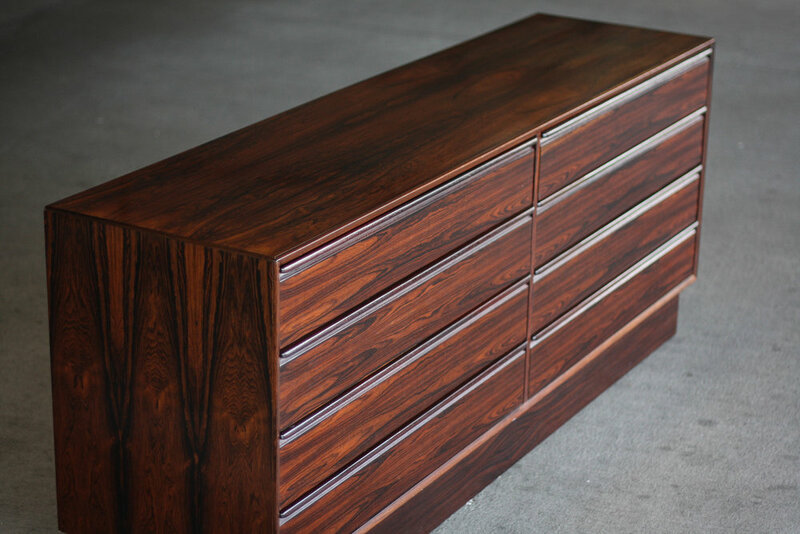 A beautiful rosewood eight-drawer chest by Westnofa of Norway. 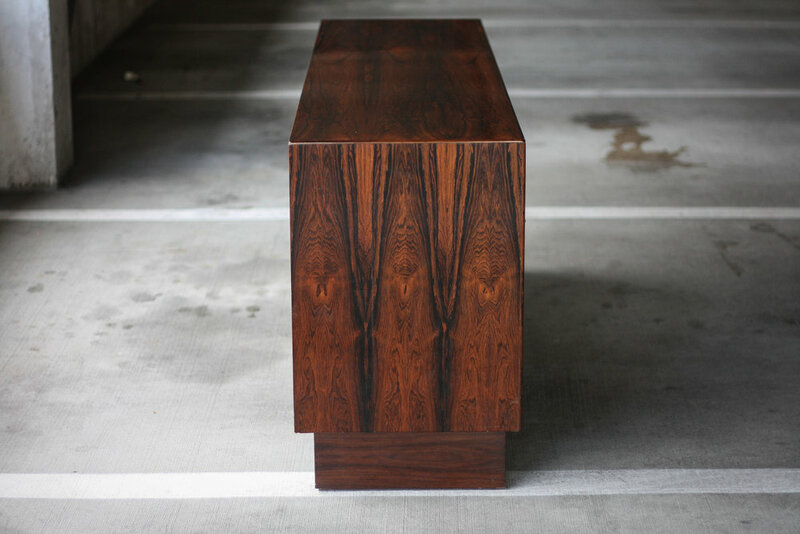 Highly figured rosewood veneer with solid rosewood molded handles. 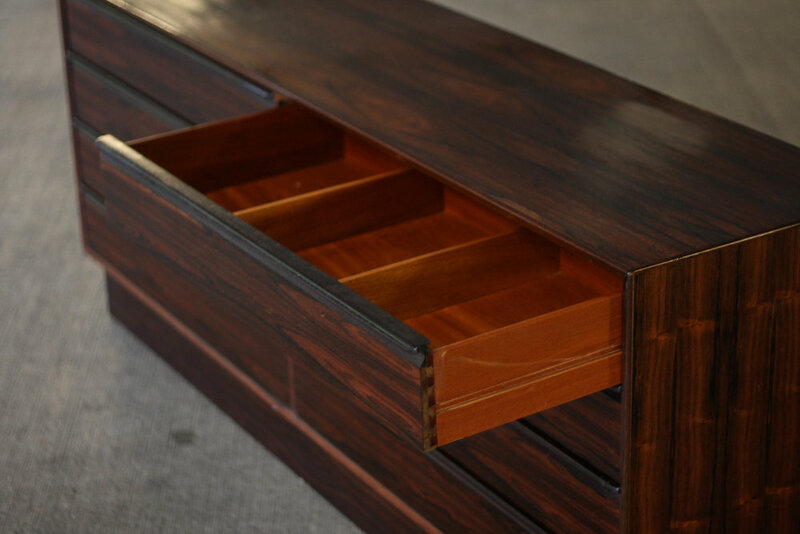 Perfectly bookmatched drawer fronts and fully finished mahogany inside the drawers. Rosewood plinth base provides a subtle floating effect and features plastic glides to help protect your floors and the dresser (removable if desired). Condition: Rock solid and super heavy. Drawers slide perfectly. No significant cosmetic damage like chunks missing, dents, deep scratches, etc. Some hairline scuffs to the clear coat finish on the top, only noticeable from certain angles and have not penetrated to the wood at all.